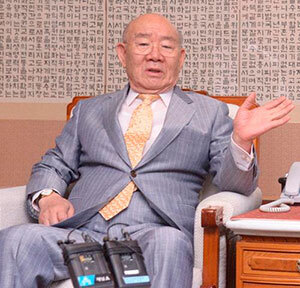 Former President Chung Doo-hwan was fined W70 million by a Gwangju district court on Thursday for defaming the victims and families of the massacre in the southwestern city on May 18, 1980 (US$1=W1,123). Chun was sued by the families of victims after claiming in his memoirs that an activist priest was lying when he said he witnessed soldiers firing at citizens from helicopters during the bloody suppression of the democratic uprising. 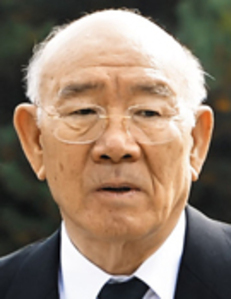 The judge ordered Chun to pay W15 million to each of the civic groups commemorating the Gwangju Uprising and W10 million to the heirs of the priest, Cho Chul-hyun, who died in 2015. Korea recognizes a charge of defaming the dead. The judge also banned the memoirs from being sold or reissued until the offending passages are expunged. The judge said, "Chun defamed the victims by writing accounts that differ from what really happened by relying only on unfounded accounts that military officers gave at the time and contradict the historical record of the pro-democracy protest." "As Chun writes, assessment of the May 18 massacre can change as time passes and everyone is free to express their views, but these views must be based on objective and accurate information," the court added. Chun faces a separate criminal trial for defaming the priest. He did not show up for his trial last month because he suffers from dementia, according to his wife. Chun Doo-hwan's Son Owns Prime Real Estate in U.S.